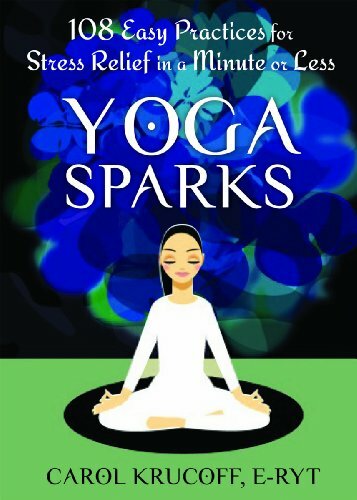 Sparks offers 108 quick, practical, and accessible yoga exercises that you can practice anytime, anywhere - no matter how busy or stressful your schedule. In this book, you will learn how yoga in “bite-size" pieces can become a healthy habit that can relieve emotional stress, increase your physical strength and flexibility, and help you to lead a happier, healthier life. Whether practicing relaxed breathing while in traffic, sitting with proper alignment while working at your computer, or even balancing on one leg while waiting in line, the step-by-step, breath-by-breath practices in this book will help you bring the physical, emotional, and spiritual benefits of yoga practice into your daily life. Carol Krucoff is a science writer and was the founding editor of the "Washington Post's" Health section. She lives with her husband in Chapel Hill, North Carolina.